WARRANTY!!! TOURING ELITE PACKAGE !! 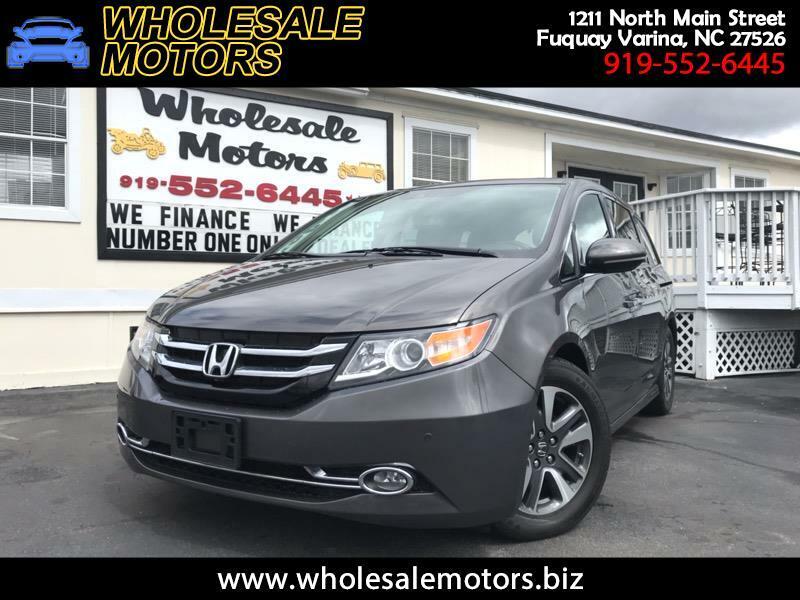 CLEAN CARFAX ONE OWNER/ 2015 HONDA ODYSSEY TOURING ELITE/ 3.5 LITER 6 CYLINDER ENGINE/ AUTOMATIC TRANSMISSION/ FULLY SERVICED/ 120 POINT INSPECTION/ AM/FM RADIO/ SUNROOF/ LEATHER SEATS/ HEATED POWER SEATS/ CRUISE CONTROL/ NAVIGATION/ BACK UP CAMERA/ NEW TIRES/ DVD PLAYER/ REAR AIR CONTROLS/ THRID ROW SEATING/ POWER TRUNK LID/ WE FINANCE!!! Warranty Description: HONDA FACTORY WARRANTY.